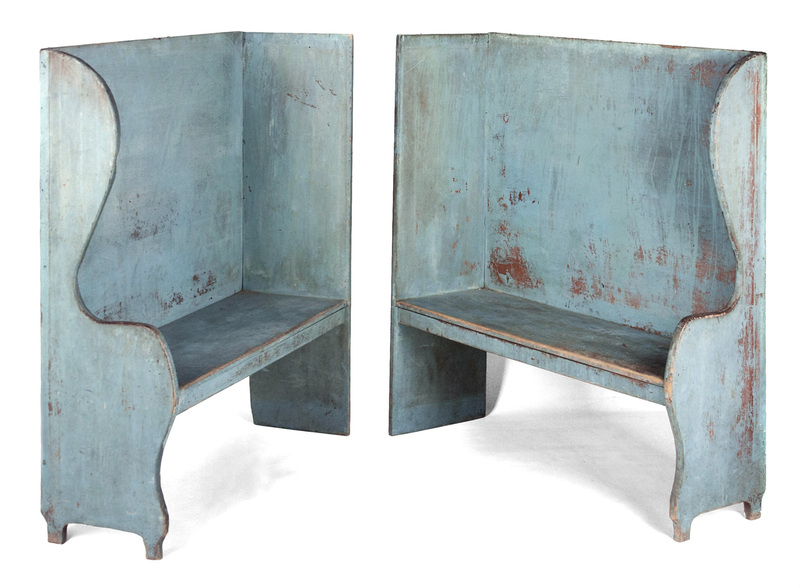 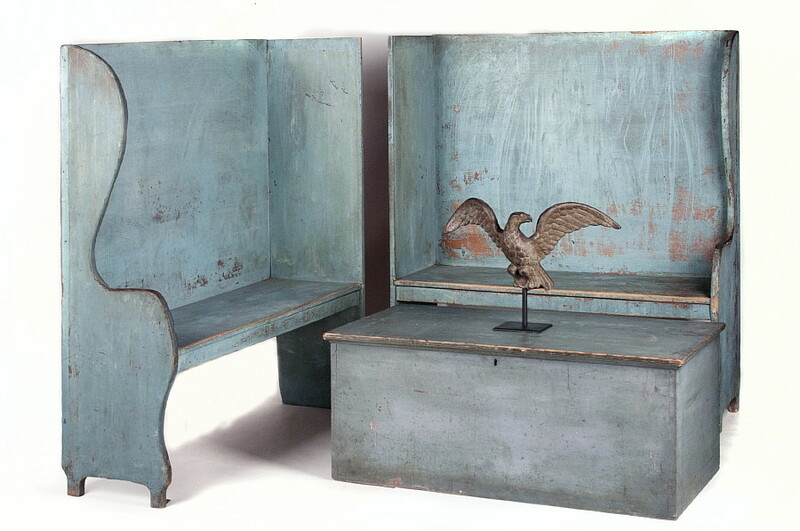 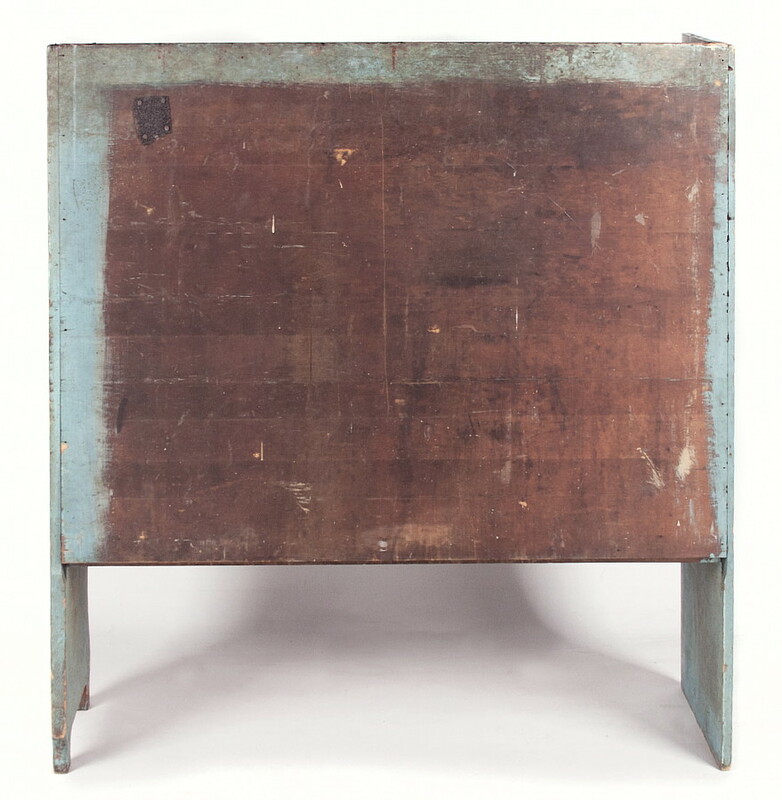 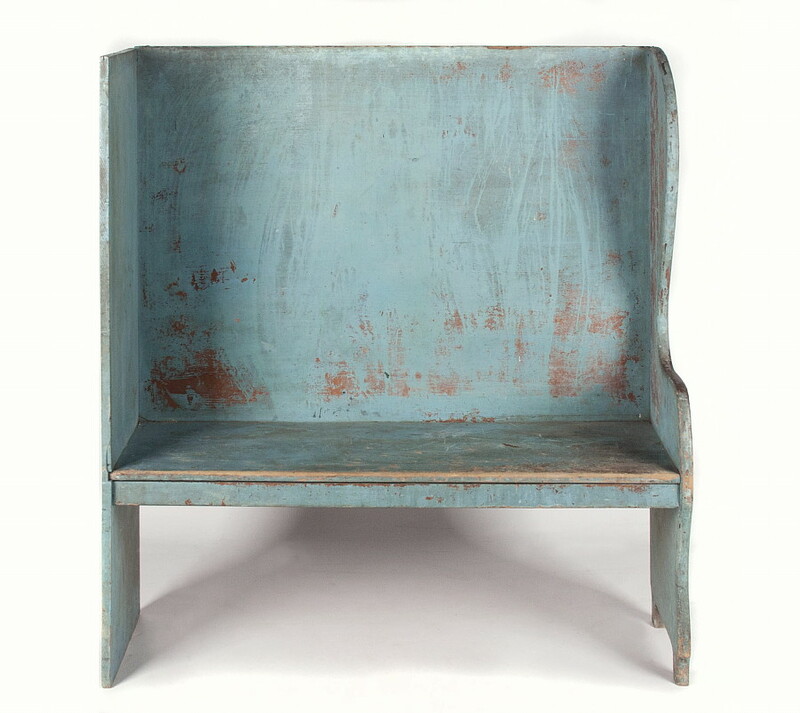 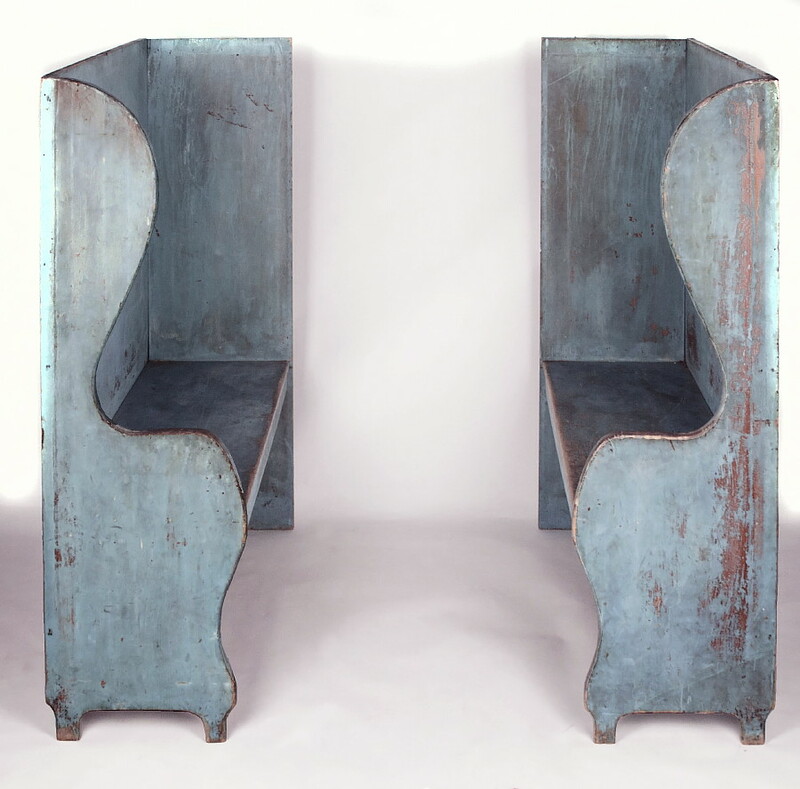 Rare pair of matching high-back settle benches, made circa 1890, found on the front porch portico of a home of the same period in Canaan, New York, flanking the front door. 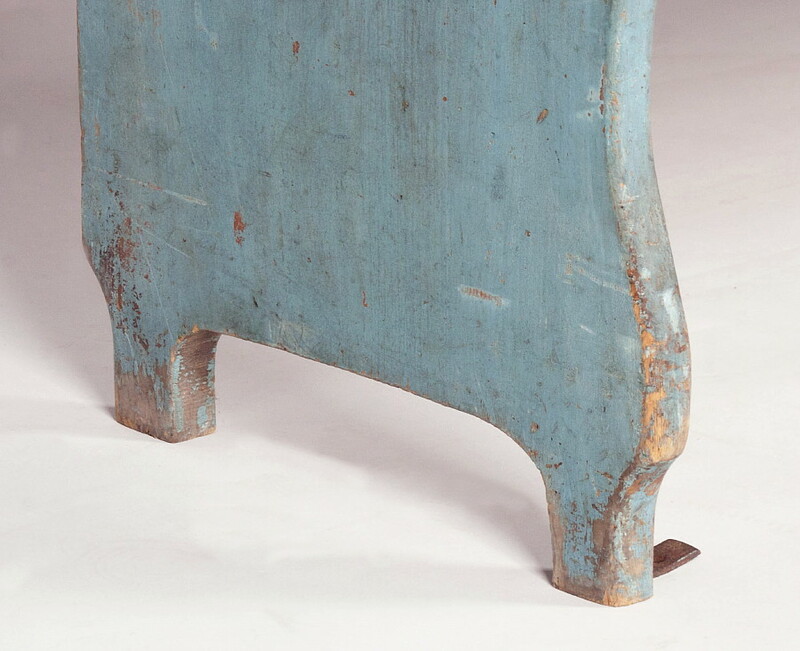 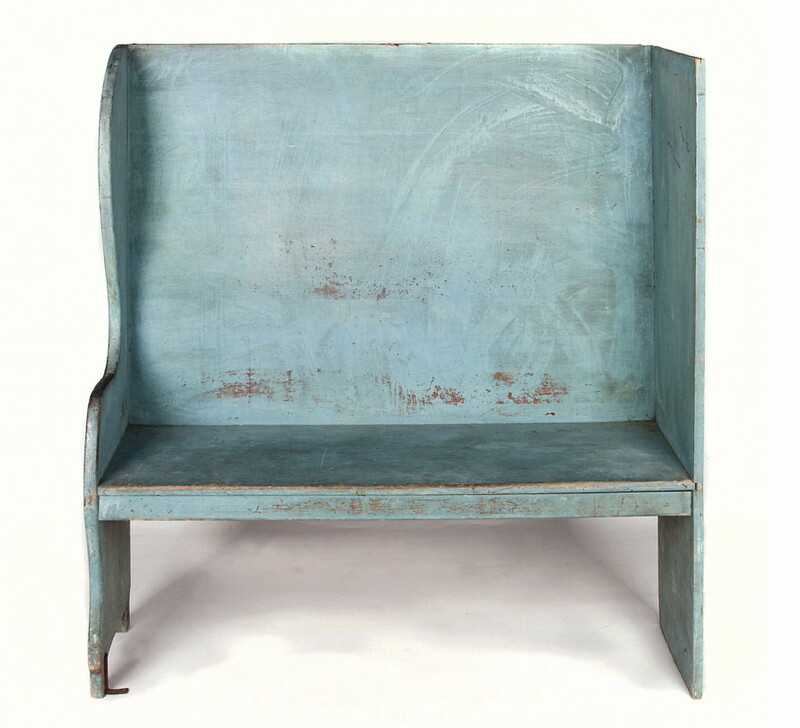 The Robin's egg blue paint retains its first surface, with weathered and oxidized patina accompanied by fine and appealing craquelure. 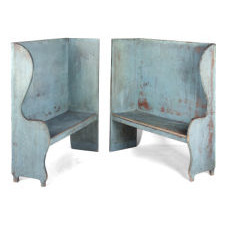 The matching scalloped sides, made of five-quarter pine planks, have scalloped feet and make for an interesting contrast with their squared counterparts on the facing side of each bench. Condition: Expected wear. 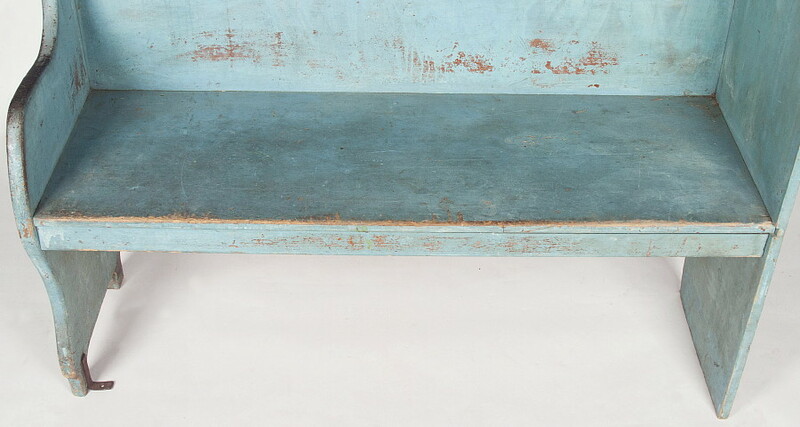 No serious condition issues. 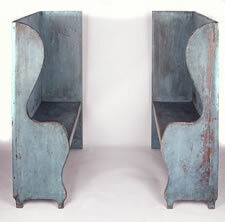 Small split along side near seat. Early metal L-bracket on the inside front of one of the feet can easily be removed, but we left it in place.